Awesome ! You are very inspiring and this little video shows it really well ! You are such an inspiration. Thanks. Great video! Congratulations,Danny-you are an inspiration to us all. Thank you and Koosje for making SBS. This is very classy!! Great presentation. What a great partnership! You have left no stone unturned to bring out the creativity in so many people and it is a great comfort to be able to continue this journey with you all throughout my retirement years! Wishing you continued success! Looking good, Danny. 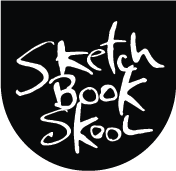 Great press for Sketchbook Skool!